Remove the 4 camshaft bearing cap bolts. Release the bearing support by striking it gently with a plastic hammer. Remove the first camshaft bearing cap (1). Loosen the 8 exhaust camshaft bearing cap bolts working from outside to inside in a spiral in steps of 1/2 up to 1 turn. Remove the 8 exhaust camshaft bearing cap bolts. Mark camshaft bearing caps before removal. Remove the 4 exhaust camshaft bearing caps numbers 6?E from the cylinder head. Remove the exhaust camshaft (1). 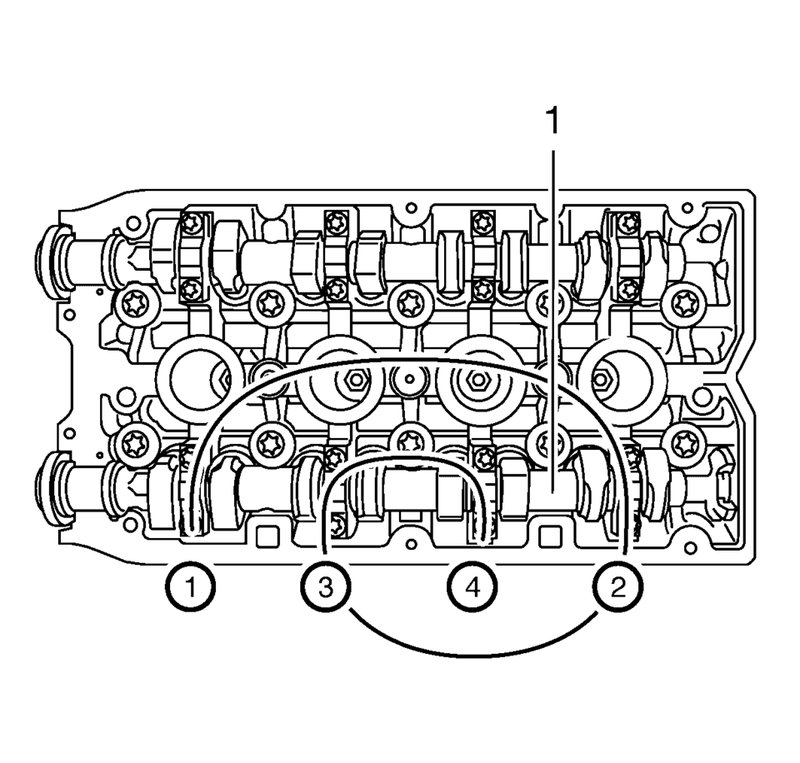 Loosen the 8 intake camshaft bearing cap bolts working from outside to inside in a spiral in steps of 1/2 up to 1 turn. Remove the 8 intake camshaft bearing cap bolts. Remove the 4 intake camshaft bearing caps numbers 2?E from the cylinder head. 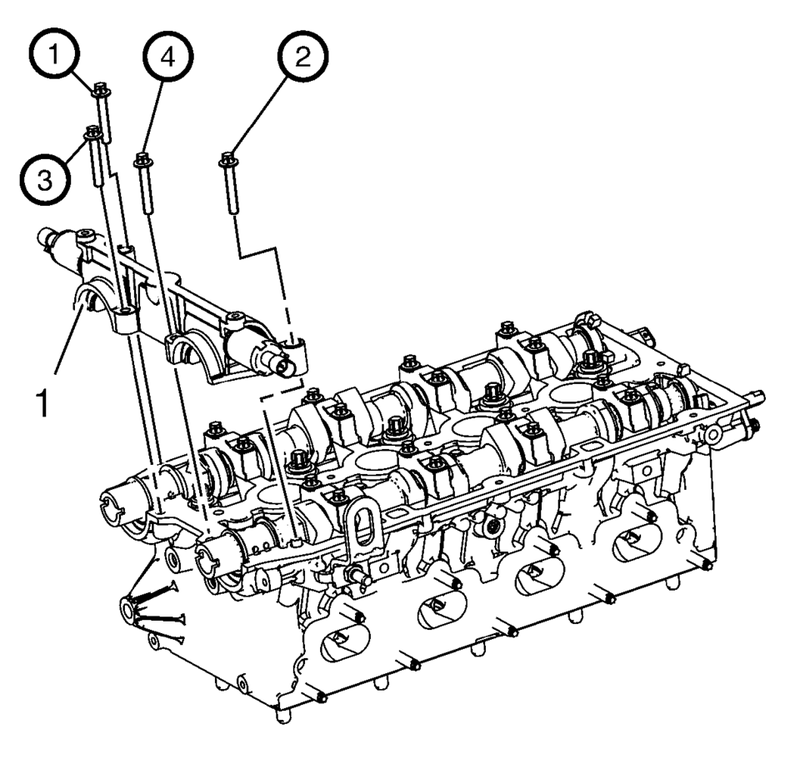 Remove the intake camshaft (1). 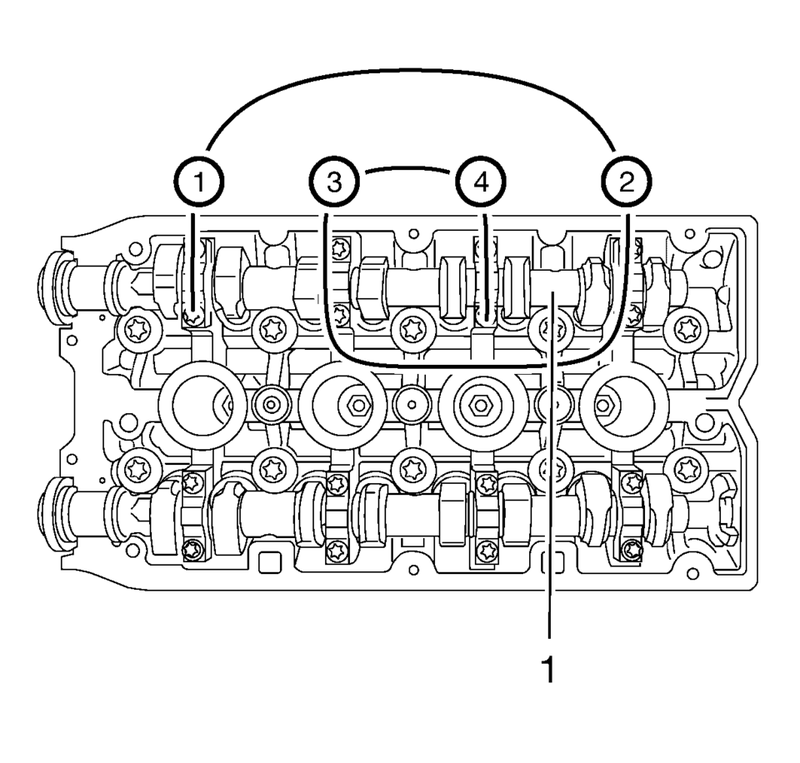 Remove the camshaft seal rings.